Can someone pls. tell me what this is? Thats the fuel by pass valve it returns excess fuel to the tank on smoged cars via the metal pipe that runs under the car. Not strictly necessary but if you do remove it you'll need to block the return line off at the tank to prevent fuel leaks. Not a bypass valve. It relieves (bleeds off) the fuel line pressure when the vacuum is lost on shutdown. Fuel under pressure in the line after shutdown will continue to fill the carb bowl if there is some boil off, exasperating a restart with a partial flooded condition. It could be called a part of the smog equipment and came along at the same time. 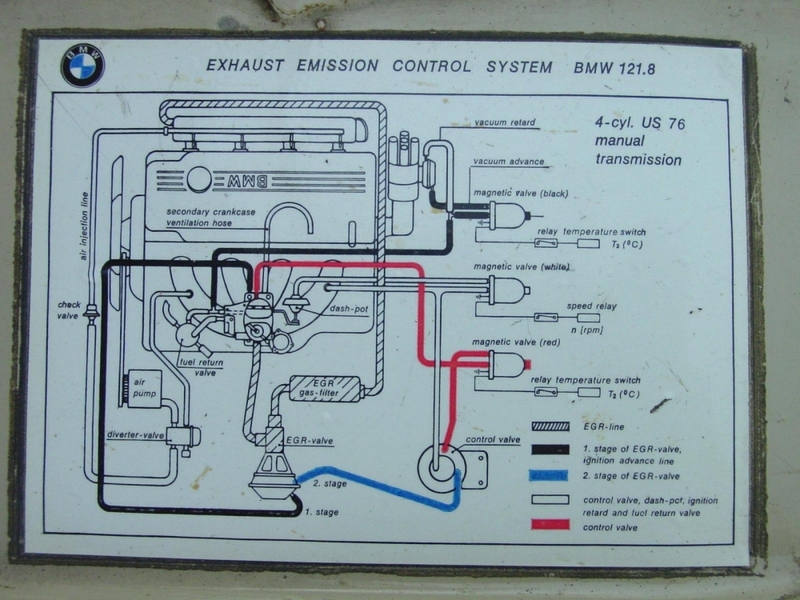 Yup - just run fuel hose from the fuel pump output side to the carb directly. And Son of Marty's comment is soooo true... when I first got my '75 it had been stripped of all smog equipment, but the return pipe still ran under the car to the tank. The first time I filled the tank to the top and took a short drive it reeked of fuel. Got home and parked and gas was dripping (gushing) out of the fuel pipe down by the frame rail where the PO never plugged it. I am assuming his solution was to never fill the tank full !! By the way, you have some nice autos in your "stable".. but you have 12 posts so I am guessing your '02 is the new horse in town? Excellent! Thanks so much for the replies, very helpful as usual. Will be rerouting the fuel line tonight before the rain hits tomorrow. Just removed and rerouted the fuel line directly to the carb and capped the vacuum line at the source. Runs smoother than before, no more fluctuating idle. Next project, electric fuel pump. Ha ha - not the seats you usually expect to see in a 40+ yr old car. Nice !